US President Donald Trump says he is "very disappointed" with China for not doing enough to stop North Korea's weapons programme. The move was a "direct response" to the North's two ICBM launches, and "part of the continuing demonstration of ironclad US commitment to our allies", the US Pacific Command said. 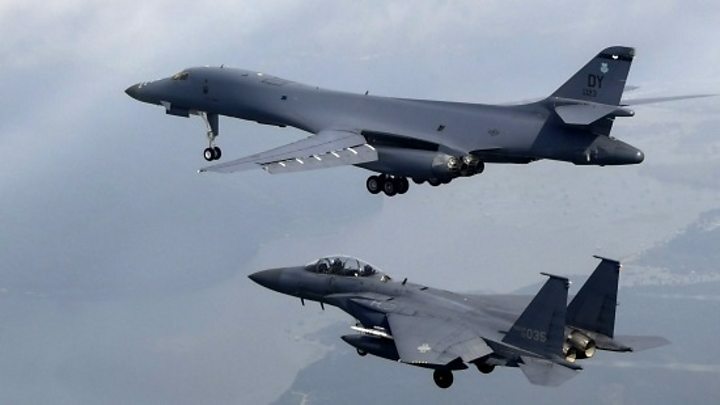 "North Korea remains the most urgent threat to regional stability," Gen Terrence J O'Shaughnessy, Pacific Air Forces commander, added in a statement. On Saturday, China condemned the test launch and urged restraint on all sides. But Mr Trump voiced frustration at Beijing's response, linking the US trade deficit with China with policy on North Korea. "I am very disappointed in China. Our foolish past leaders have allowed them to make hundreds of billions of dollars a year in trade, yet they do NOTHING for us with North Korea, just talk," he wrote in two consecutive tweets. China, which shares a land border with North Korea, is its closest economic ally and trading partner. President Trump and his Chinese counterpart Xi Jinping discussed North Korea during talks earlier this year, after which US officials said the two countries were working on "a range of options" to rein in Pyongyang. But since then the North has carried out two ICBM tests. After Saturday's launch, South Korea said it was concerned the North may have made "a significant advancement in technology", adding that the missile test was "unique in its time and place of launch". Media captionWhy does North Korea want nukes? Video Why does North Korea want nuclear weapons? 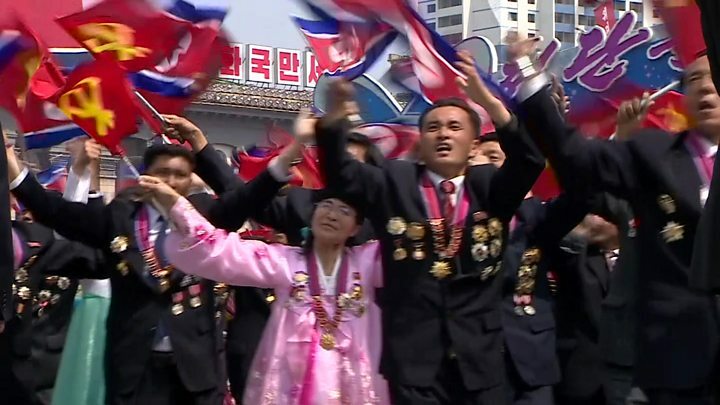 Is China wrong on North Korea?